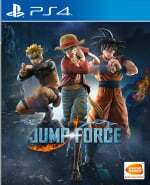 Bandai Namco’s brand new brawler is currently playable on the PlayStation 4, and you can find out all about Jump Force’s open beta dates and times through the link. It seems that a couple of new characters have leaked courtesy of social media ads, however, with new promotional art showcasing Jotaro Kujo from JoJo’s Bizarre Adventure and Dai from Dragon Quest: The Adventure of Dai. While the publisher is yet to officially announce these new inclusions, many have corroborated online that the ad is legit. The title’s due out on 14th February, so we’d expect confirmation fairly soon. Very happy to see that Midoriya will be part of the roster. I’ve heard of Dragon Quest Dai, haven’t read the series so I don’t know to much about it. A Jojo character is good to have. Now if we get Tsuna from Reborn, Cobra, Hitomi from Cat’s Eye, Kinnikuman, and the main character from Kimestu no Yaiba I’ll be straight. Of course I’ll still like more series to be added. @FullbringIchigo have you read or watched the anime of Promised Neverland? It might be too much to ask for but I’d like a character from that series to be included. That series is doing really well in Shonen Jump. @shonenjump86 Emma (and let's be real, she's the only one who even remotely has a chance to get into a WSJ crossover of any sort) would be super boring as a fighter I think. She's great within Neverland's setting but she's literally just a genericass kid compared to even Yugi or Light who have their supernatural shenanigans going, and even then the latter's not even a fighter either. Maybe as a support character, I don't know how many they even revealed so far, but I'm not seeing a Neverland character as fighter. Awesome, loved the first two seasons of JoJo so definitely looking forward. Is Bobobo-bo Bo-bobo back from the old Jump games? I'd love to have him and Dio Brando of course. I'm excited for the story mode. I think this game may be better than I think even after playing the βeta. @Tsurii makes sense on what you said. I’m just so big on that series at the moment. I would settle for Emma being a support character but I don’t think there will be support characters for this. Oh well.